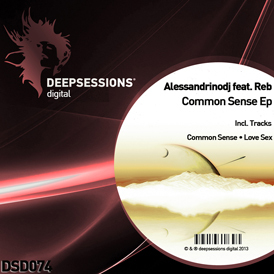 The 218th release on Deepsessions sees the debut of another exciting producer from Greece. Alexandros Kontaras has been involved in electronic music since he was 16 years old. His two production alias’ Alex Code and Sound Travell3r have been providing progressive house fans with great material on labels like: Stellar Fountain, Sangria and Limeroads. Here he debuts his Sound Travell3r alias on Deepsessions with a new two track EP entitled ‘Saturn’. The title track kicks the EP off with smooth melodic vibe that is quite enchanting. A strong dance floor groove, trailing vocal pads and haunting melodies carry the track with great energy through to the main breakdown. Here a wide array of subtle melodic themes take shape which in turn create a wonderfully surreal atmosphere. It proves to be the perfect interlude for the tough groove to return for an emotional finish. The companion piece “Silicon Planet” closes out the EP with a slightly deeper more atmospheric vibe which turns out to be a great complement to “Saturn’. The warm chord changes combined with all the waning harmonies is absolutely spectacular and should have your dance floor covered in goosebumps. Great stuff from Sound Travell3r and another solid release from Deepsessions.